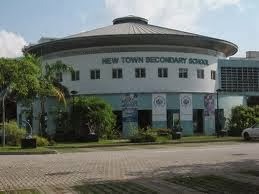 New Town Secondary School is located at 1020, Dover Road in Singapore 139657. It is enclosed within the Dover Region. Dover is a small neighborhood that is situated in Queenstown. It is positioned at the south of Ghim Moh and north of Kent Ridge. The area is known for its educational facilities. Nearest MRT is Dover MRT and the closest bus interchange is Clementi Bus Interchange. Amenities in the area include West Coast Plaza, Clementi Mall and NTUC Fairprice. Some of the schools close by are Nan Hua High School, Singapore Polytechnic and NUS High School of Mathematics and Science.